Anyone who cares about the sustainability of the cocoa sector should be worried about current global market developments. World cocoa prices have declined by 30% since mid-July 2016, reaching the lowest level in nearly four years. Currently, there is a cocoa production surplus, which some market analysts estimate between 150,000 and 250,000 tons for the current cocoa year. These short-term developments threaten to undermine long-term sustainability in the supply chain. Cocoa farmers will earn less income, which will exacerbate poverty and undermine the food, health, and educational security of the household. Cocoa growing communities will lack resources to self-finance important community assets like safe drinking points and school management committees. Producing governments will lose tax revenues that are critical for financing high priority public expenditures like rural infrastructure. National cocoa regulators will face financial risks as they navigate between higher pre-announced farm gate prices and lower spot market prices. WCF and our Members want to see a robust and competitive global marketplace that provides strong incentives and sustainable livelihoods for cocoa farmers. All of us are concerned that current market conditions are hurting long-term sustainability and growth of the sector by making cocoa production unprofitable for farmers, increasing the competitiveness of alternative cash crops, and impoverishing local communities. So what should WCF and our Members do? 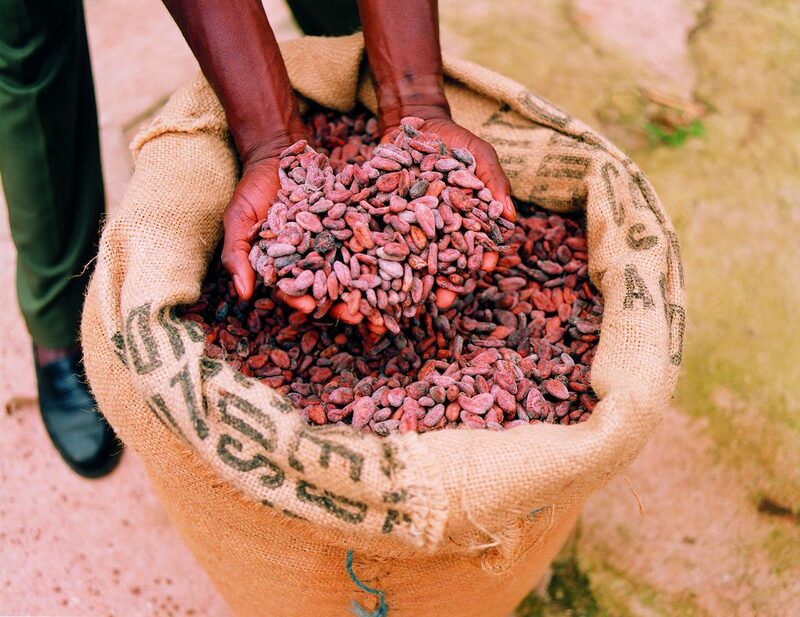 First, we need to accelerate investment in long-term sustainability programs like CocoaAction. These boost the productivity and profitability of household production, which then professionalizes, empowers, and motivates farmers to stay in cocoa. Second, we need to continue to invest in market development, particularly in emerging economies like India, China, and Brazil, where expanding middle classes have fueled much of the growth in global chocolate consumption in recent years. Third, we need to ensure that farmers are rewarded for producing sustainably grown cocoa. 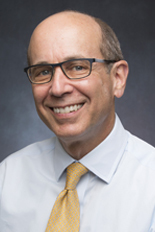 When world cocoa prices are volatile, producing country governments need to work with international organizations like the World Bank and International Monetary Fund to ensure effective and efficient stabilization programs are in place to manage risk and protect farmers’ livelihoods. Finally, we need more robust and open public dialogue about policy and market weaknesses at all levels of the supply chain. This policy dialogue must be grounded in evidence, not rhetoric. Two excellent recent reports funded by the German and Dutch Governments provide rigorous economic analysis on the current structure of the market to spark these discussions. Cocoa farmers are facing a crisis right now. All of us — industry, producing and consuming governments, development partners, civil society actors, and, most of all, farmers – need to work together to ensure a sustainable supply chain. Within the subject of gender empowerment in cocoa communities, financial inclusion and land tenure are two pivotal issues that will have a big impact on the future of cocoa sustainability. These two issues were the theme of the Global Conference on Women in Cocoa – or GloCo – held February 16–17 in Accra, Ghana. With a focus on best practices, lessons learned & opportunities for collaboration, and innovation & climate smart agriculture, GloCo was designed to develop industry commitments and actions within the next 24 months,a end goal of moving forward the global agenda for women in cocoa. Ghana’s Minister for Gender, Children and Social Protection, Hon. 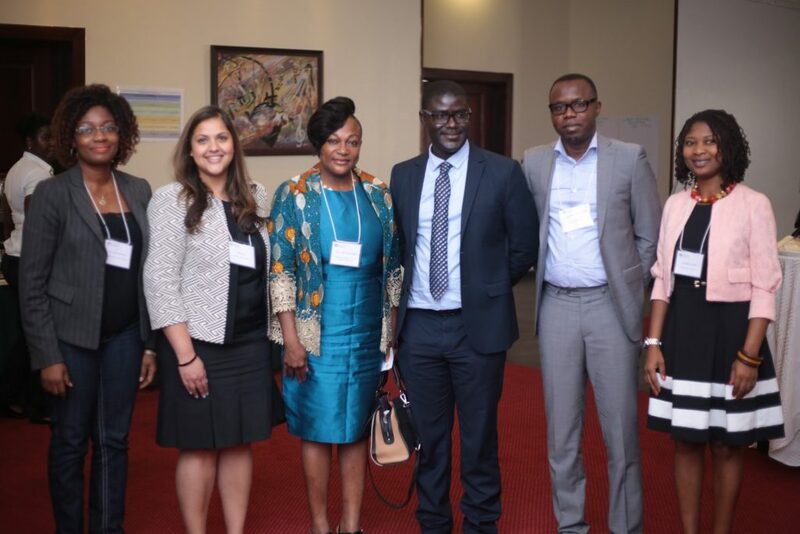 Otiko Afisa Djaba shared her vision about the importance of gender within the sector. Ghana Cocoa Board and Le Conseil du Café-Cacao were also present to outline their government’s engagement on the issue. Industry, civil society and other sectors were also part of the discussions, with emphasis on sharing knowledge on existing practices and innovations within the cocoa sector and related sectors, and aligning industry and civil society efforts with the National Action Plans of the two governments. Ultimately, GloCo’s goal is for all stakeholders to hold each other accountable for actions items and decisions. The commitments agreed upon during the event will support CocoaAction’s Results Framework Gender Indicators as a means of tracking progress and emphasizing accountability. An event report with commitments and next steps will be released in the coming weeks, and stay tuned for more GloCo content on March 8 – International Women’s Day. Productivity training construction of fermentation boxes. 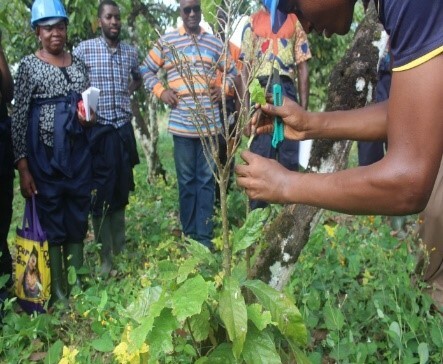 A six-month training of Extension Agents on the sustainable production of quality cocoa was completed in Cameroon in December 2016 with a total of 118 Agricultural Extension Agents completing the course. WCF’s African Cocoa Initiative (ACI), Cameroon’s Ministry of Agriculture and Rural Development (MINADER) and the National Cocoa Academy of Cameroon coordinated the trainings with the ultimate goal of improving access of cocoa producers to knowledge and trainings. ACI is supported by the United States Agency for International Development. 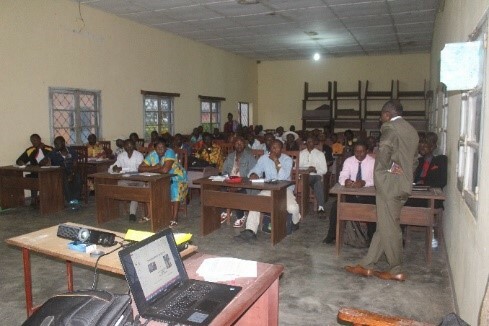 Field and class trainings were used to transfer technologies and knowledge to extension agents, with modules focused on communications, and modern techniques on quality cocoa production. Training topics included management of cocoa nurseries, production of compost from cocoa pod husks, control of black pod disease, pruning, manual pollination, clone production, post-harvest processing, and planning collective projects in the cocoa industry. Extension agents were encouraged to participate in hands-on lessons to gain experiential knowledge of best practices. In addition to field training and hands-on experience, trainings included in-class presentations. Agents who completed the training are now better equipped to execute practices and pass on their knowledge to others in their communities. The training was the final in a series under ACI’s Component 3, which focused on enhanced extension delivery and farmer training services. Extension officers had previously been trained in Côte d’Ivoire, Ghana and Nigeria. Combined with evidence-based policy making via the public-private partnership platform (PPPP), new planting material from ACI supported seed gardens and the provision of spray services by trained professionals, these trainings are expected to boost productivity through the application of good agricultural practices by farmers. 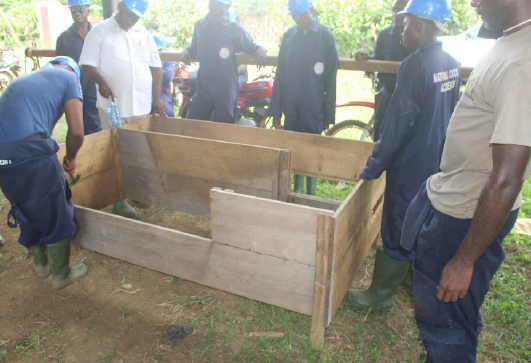 In addition to the training of extension staff, 17 technicians selected form planting material propagation organizations in Cameroon were trained in grafting techniques. The training will enable Cameroon to take further advantage of the 10 hectares of new bud-wood gardens established with ACI support. The beneficiaries, who are now master grafters, are expected to share their knowledge with other technicians within their organizations and eventually with farmers. WCF’s Cocoa Livelihoods Program has taken advantage of the training by engaging participants to train 80 female farmers in Cameroon’s South West and Center regions under the program’s gender empowerment goals. WCF members have called for collective action to address both climate change and deforestation in the cocoa sector. In an effort to convene industry, WCF is finding alignment with the UN Sustainable Development (SD) Goals and the UN Climate Summit New York Declaration on Forests. Meeting the increasing global demand for cocoa and chocolate is very much dependent on favorable climatic conditions and the availability of rich soils to produce cocoa trees. Recent research conducted by the CGIAR International Center for Tropical Agriculture (CIAT) indicates that climatic changes over the next ten to 30 years are likely to impact cocoa production globally, particularly in West Africa. This will have consequences for the millions of smallholder farmers who grow cocoa, the national economies of the main cocoa producing countries, and the global cocoa/chocolate industry. In the past 50 years, over half of the world’s tropical forest have been lost largely due to agriculture expansion. Historically, cocoa has been a major driver of deforestation – it is the 5th largest commodity shipped to Europe with an impact on deforestation. There is evidence that cocoa farms and farmers are already encroaching on numerous protected areas in Côte d’Ivoire, the number one producer of global cocoa. With climate change reducing current land suitable for growing cocoa, future cocoa production threatens forested and protected areas. In the past, much of the industry’s focus on sustainability has been on productivity and profitability in cocoa, with less investment placed on the environment. Most environmental programs are scattered and small-scale. However, aligned with commitments to larger global initiatives, WCF is leading efforts to tackle key environmental threats to cocoa sustainability. 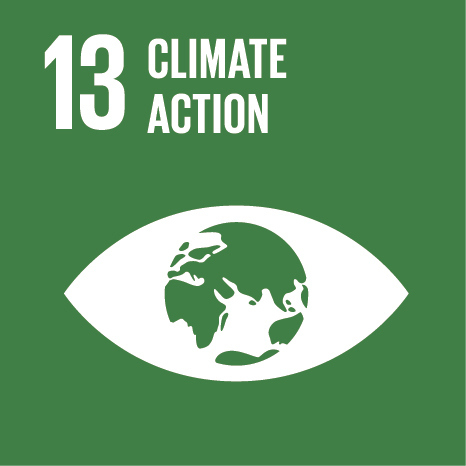 UN Sustainable Development Goal 13 calls for urgent action to combat climate change through international coordination to support countries with becoming more resilient, and assisting [farmers] with adapting to climate change impacts. In line with this goal, in May 2016, WCF launched the four-year (2016-2020) Feed the Future Partnership for Climate Smart Cocoa to align the private sector on best practices to address climate change. The program is supported by USAID and nine WCF members (Barry Callebaut; Cargill; Ecom; The Hershey Company; Lindt & Sprüngli; Mars, Incorporated; Nestlé; Olam International Ltd; and Touton) and is focused on both West Africa (Côte d’Ivoire, Ghana, and Liberia) and Latin America (El Salvador, Dominican Republic, Honduras, and Nicaragua). The program is working with both public and private sector partners to develop an industry strategy and identify climate smart innovations to be scaled up through private and public sector initiatives to assist farmers to better adapt to changing climactic conditions. Ultimately, this program will lead to solutions that support a more resilient cocoa sector. Tightly linked to climate change is deforestation. 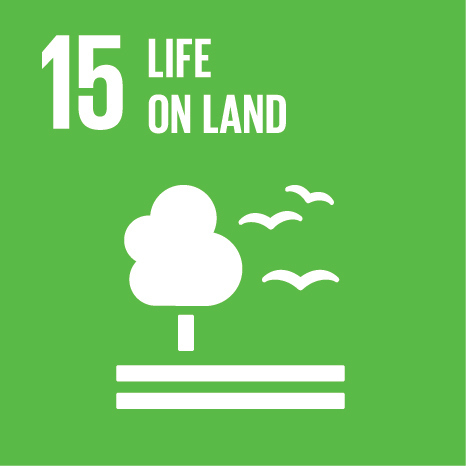 UN Sustainable Development Goal 15 calls for efforts to protect, restore and promote sustainable use of terrestrial ecosystems, sustainably manage forests, combat desertification, and halt and reverse land degradation and halt biodiversity loss. The New York Declaration calls for halving loss of natural forest by 2020 and eliminating loss by 2030. In other commodities, the private sector has come together to address the deforestation challenge, including making commitments and adopting zero-deforestation standards such as the Marrakesh Declaration for the Sustainable Development of the Oil Palm Sector in Africa. Private sector companies have expressed a desire for a similar collective strategy in the cocoa sector. 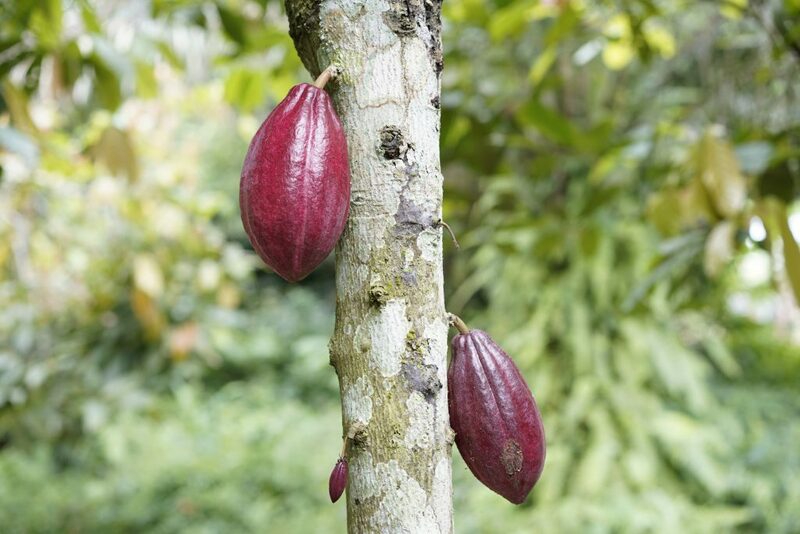 This will require an adapted model and tested innovations for the realities of the cocoa value chain such as small-scale land holdings and diversified farms. Accomplishing this goal in the cocoa sector will require coordinated actions by governments, private sector, civil society organizations, and donors to develop solutions to support farmers and maintain cocoa production, while protecting forests and restoring degraded land. WCF is currently working with multiple stakeholders to build alliances, determine key elements, and map out next steps to move this initiative forward. International family-owned bakery, confectionery, and biscuit company, Fazer, has reached its goal of sourcing 100% of its cocoa from responsible sources. 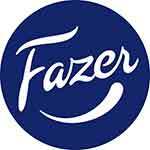 Headquartered in Finland, Fazer emphasizes long-term efforts to improve both the availability of cocoa and the livelihood of cocoa farmers. Fazer is involved in certification programs by UTZ, the Rainforest Alliance and the Fairtrade Cocoa Program, and also implements direct farmer programs that reach farmers who are not involved in certification programs. Fazer sources a quarter of its cocoa from Ecuador, with three quarters originating in West Africa. Of the approximately five million cocoa farms in the world, only one fifth of all cocoa farmers are reported to be certified. This is why Fazer implemented programs to advance responsible cocoa farming. The objectives of the direct farmer program are to make cocoa farming increasingly rewarding work that offers farmers and their families a path to a better income. A better income is based on crops with a higher yield so the programs focus on training and education. 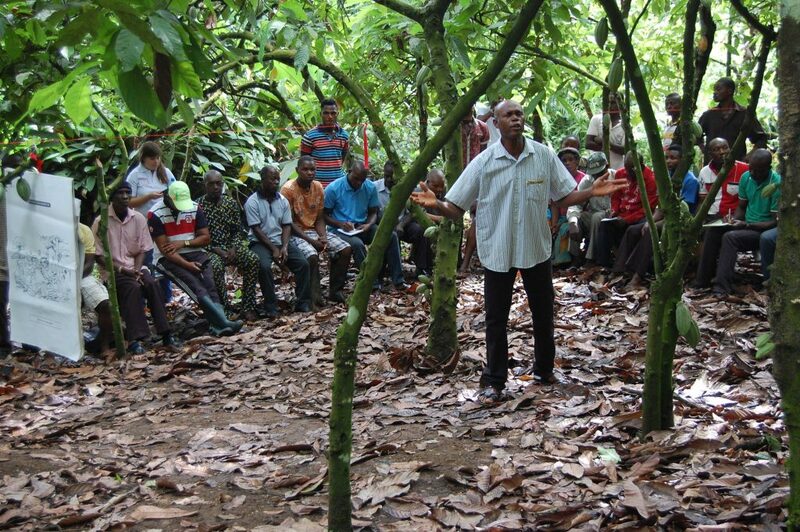 When farmers learn modern cultivation practices, they can improve the productivity of their cocoa farms. “We value cocoa farmers and their work, and together with the farmers, we want to carry out precisely the measures that most benefit the farmers in the countries of origin. Only through cooperation with cocoa farmers can we promote the availability and quality of cocoa in the future,” says Majlen Fazer, Fazer’s chocolate and cocoa expert. The premiums paid in Fazer’s farmer programs are on par with those paid in certification programs. 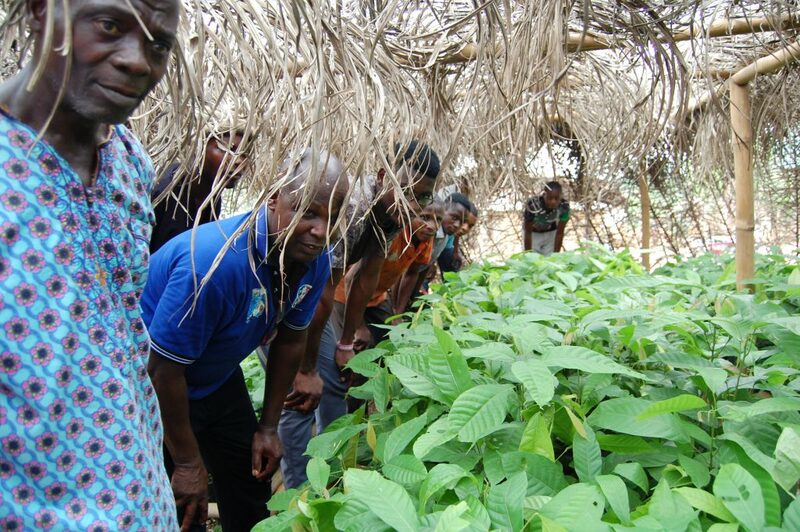 Farmers are also offered training and new, improved cocoa tree seedlings. The program includes support for the entire community in the form of the construction of schools and wells. Projects are selected in cooperation with the farmers, giving them an opportunity for program buy-in. In addition to advancing responsible cocoa farming, Fazer emphasizes support for the entire farming community to improve opportunities for raising income levels in the future. For more information, visit: www.forbettercocoa.com. WCF Partnership Meeting, October 24 – 25, 2017, Washington, D.C.
WCF warmly welcomes Theresa Rodriguez (Finance & Accounting Manager) and Zoë Genova (Membership & Outreach Associate) to the team in the D.C. office.